Here’s the first feature article for Black History Month. Nuns who were active during the Civil Rights Movement and were with MLK both in life and death tell their story. More on Sr. Mary Antona Ebo. 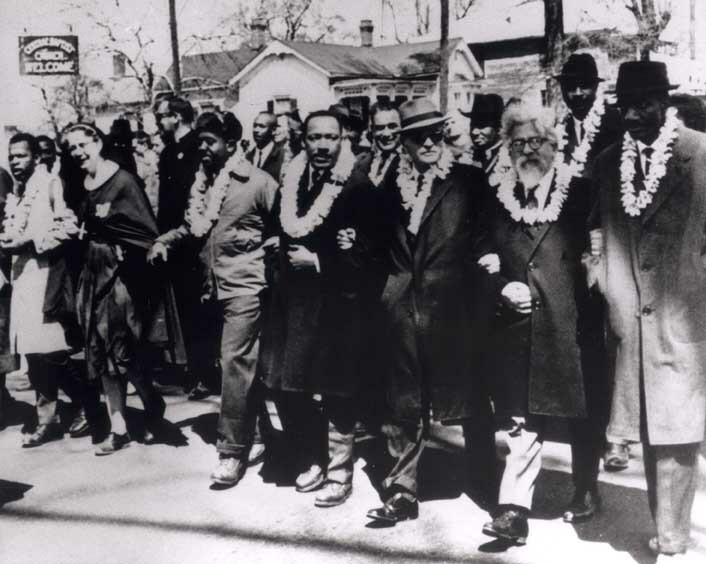 Above image: MLK and other activists during the third Selma march. Fair Use. From here.